I spent a large part of the last year leading a national trade association through a major management change. The year saw the departure of the long-time CEO, the appointment of an interim CEO, and finally the transition from a stand-alone association to one managed by an association management company (AMC). In addition to these changes, the association also moved from one province to another, made a significant change to its largest member benefit, and changed association management systems (its membership database). In hindsight, that sounds like a lot, and it is, as it all happened over a period of only 12 months. How did this all happen in such a short time? An engaged board with strong leadership, great staff, wise counsel from lawyers and other advisors, and strong partners all brought together under a strong, yet simple, vision pushing it all forward. Working with strong established partners allowed this association to learn from the successes and failures of others. A volunteer leader once told me that R &D stands for “research and duplicate”. I like to think of it rather as research and improve or scale. For more on building partnerships with other associations, please see my previous article Association Collaboration: Is Your Association Partnering for Success? Besides strong partnerships, what allowed this association to undertake so much change in such a short period of time was the support of its members and transparency in its communication to members and other stakeholders. This strong support gave the board and staff the confidence that it needed to make tough decisions. The association’s members were clear on what they wanted and needed from their Canadian trade association and they were willing to allow the association some time to make significant and meaningful change. It was important that the association’s leadership not take this support for granted, as it is not everyday that associations poised for change receive strong support from the majority of members. 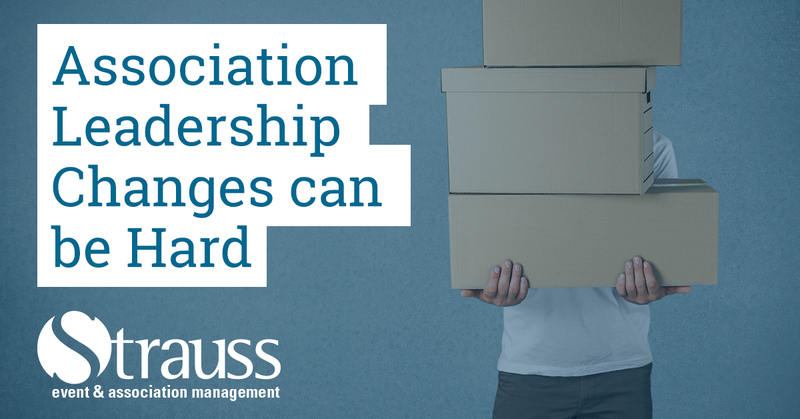 Change can be difficult for any association, but change can be necessary to move your organization forward in new and exciting ways. Indeed, not all association leaders are fortunate enough to face challenges with an engaged and committed membership. This trade association had a clear message from members: they were willing to give the board and management one last chance to fix things or face the loss of a significant number of members. This could not be taken lightly as the association had already lost one third of its members over the previous few years. To be clear, the members were not happy with the association, but they wanted to see it succeed in order to belong to a Canadian association that brings the industry together and speaks to their unique needs, rather than be absorbed into another association. This is a Canadian trade association and they didn’t want to lose their Canadian identity. While no association wants to be in the position to have to make so many major changes all in one year, sometimes ripping off the band-aid and getting it all done at once in a short period of time could be just what is needed. Acting confidently and quickly shows the membership and other association stakeholders that the association’s leadership is listening and responding.